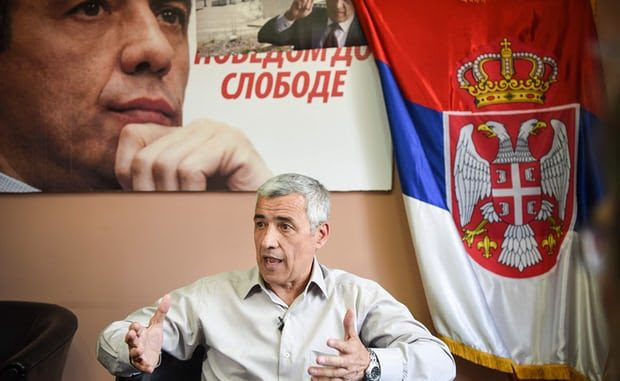 The January 16th assassination of Oliver Ivanović, the 64-year-old leading Serb political figure in Kosovo, may increase tensions within Kosovo between Serbs and Albanians. Many officials, knowing the tense climate in Kosovo, are already calling for calm. The pleas for calm are not simply the rituals after any political assassination, but are an objective evaluation of the dangers of increased tensions within an already fragile Kosovo. There are a good number of political factions that must be happy to see Oliver Ivanović dead. However, it is not yet known who had the ability to organize the drive-by killing of Ivanovic, utilizing seasoned assassins who fired five shots from a moving car. We may never know even if the killers are caught. During the break-up of the Yugoslav Federation, when Kosovo was still part of Serbia, Ivanović was the director of the Trepeca mine complex in Mitrovica. The mine then employed 23,000 people and was an important percentage of the economy of Kosovo. He led an armed faction of Serbs during the 1998-1999 war in Kosovo between Serbs and Albanians. The Trepeca mine complex then closed, never to re-open. Once the war was over and Kosovo went under the control of NATO forces and the European Union, Ivanović turned his energy to politics. For a while he represented the Serbs of Kosovo within the Government of Serbia as Serbia has never recognized the independence of Kosovo. However, he came to realize that the refusal of the Serbian administration to recognize Kosovo’s independence was a dead end. He decided to enter politics within Kosovo as the leader of a small Serbian-Kosovo political party, the Citizens’ Initiative Party. Through such activity, he angered Serbian government figures who could not control him. He was also disliked by the Kosovo Albanian political leadership who do not like Serbs regardless of their political views. Ivanović saw himself as a bridge builder, recognizing the need to work with the Albanian authorities in Kosovo while at the same time defending the rights of the Serbs living in the two-million-person state of Kosovo. He spoke out strongly against the drug gangs which are among the only exporters in the Kosovo economy. Most Kosovo officials allow the traffickers to operate with impunity. Therefore, there were many factions who wished him dead. The assassination has the potential to lead to inter-ethnic violence. The death is also a sign of the difficulties of creating a multi-ethnic state and trans-frontier cooperation with neighbors, especially Albania and Serbia. Kosovo was declared formally independent in 2008 and is on the eve of marking the decade as an independent state. However, it is not a member of the United Nations, in part as a result of Russian opposition, nor a member of the European Union. European Union officials have tried to facilitate negotiations between Kosovo and Serbian diplomats with no visible results. As a result of conflicts in the early 1990s, the Yugoslav federation broke into the multitude of pieces that we have today. Now there are difficult negotiations among the independent states to re-establish some of the forms of cooperation that had existed within the Yugoslav federation. The consequences of a break up were visible early, especially as there were ethnic minorities within each of the Yugoslav republics. Narrow nationalism has led to changes in population distribution toward more mono-ethnic areas, but each state still has ethnic minorities who live uneasily side-by-side. Kosovo is the state where “living together” is most fragile. Ivanović’s assassination could mark the beginning of a social and political storm. There are some 4,600 NATO troops in Kosovo who may be able to prevent wide-spread violence, but troops are not bridge builders.